After the recent centenary of Ingmar Bergman and Criterion Collection’s release of a mammoth thirty-nine film Blu-ray box set, the appeal of Bergman as a definitive auteur feels reborn in this moment. Affirming audiences with piercing observations on human nature, Jane Magnusson’s follows up Trespassing Bergman with Bergman: A Year in a Life. Focusing specifically on 1957 – his most productive year as a filmmaker, theatre director and writer – the documentary offers a personal and political dive into a man whose whole body of work is revered worldwide. Unlike Margarethe von Trotta’s Searching for Ingmar Bergman, Magnusson’s approach is focused on keen observations through well-constructed archive footage and not overt personal attachment, as evident from von Trotta’s work. The appeal of documenting Ingmar Bergman’s life continually appeals to filmmakers in its scandals of numerous affairs, alleged abuse childhood from his father and boisterous temperament. Few directors ever achieve the status of Bergman but what becomes most striking about the year of 1957 is his dedication to the craft of drama. Producing six scripts, including The Seventh Seal and Wild Strawberries, the level of artistic quality throughout warrants an expose in Magnusson’s eyes. Yet, behind this productivity, the film shows, rests a man continually wrestling with his past relationships, all in order to focus their pain into his own work. From the outset and throughout, Magnusson never proposed the Swedish director to be perfect in any form. Focusing her attention towards one year allows a wide-reaching discussion on his whole filmography. Jumping back and forth in time, 1957 is essentially ground zero to the artistic persona we know understand as Ingmar Bergman. Self-reflective on morality in the two films he directed in this year, confronting his demons through the lens of film is shown as a cathartic impulse. Still, his productivity is underlined as an undiagnosed form of compulsive addiction to working. Peeling away the layers of a great auteur further arrives in two other forms; his Nazi sympathies and eating disorder. The second is strengthened by voyeuristic archive footage of his beloved biscuits and Swedish yogurt, which appear to be the only things he consumes on a daily basis. Accompanying all this visual archive footage are multiple talking head footage of close collaborators. Aside from the likes of Liv Ullmann, notably both Bibi Andersson and Max von Sydow are absent, the film stretches beyond Bergman’s film work to interview theatre contemporaries as Thorsten Flinck. What this seeks to achieve is a well round approach not only to the titular creator’s works but a fair reflection, away from bias, towards his very personality. More peculiarly in amongst the talking heads is Barbra Streisand. Combined with Elliot Gould’s presence, connected through his collaboration with the Sweden in The Touch. Nevertheless, what she offers in her word are a passionate display of the admiration cinephiles worldwide feel towards his legacy. 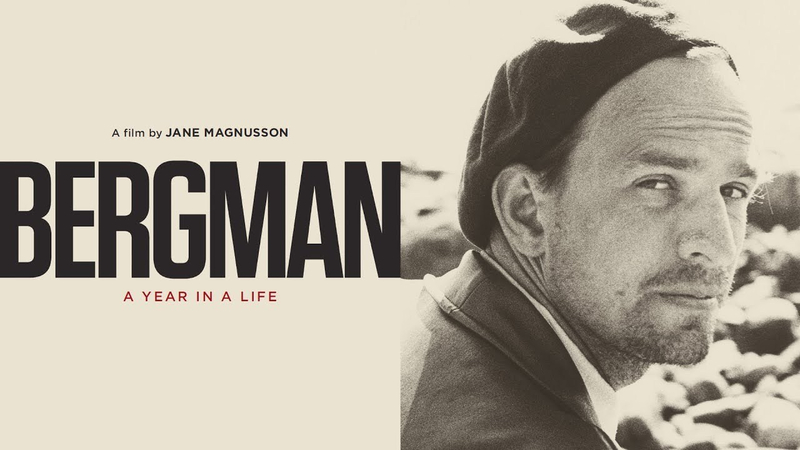 Imbued with a delicate but observant touch towards its subject, Bergman: A Year in a Life feels as though it is the accumulation of a deep investment in the director from Magnusson. Unveiling personality traits previously unknown, alongside footage that’s captivating to observe, this lovingly constructed documentary will leave you with a fresh appetite to revisit Bergman’s filmography in as much detail as presented throughout.